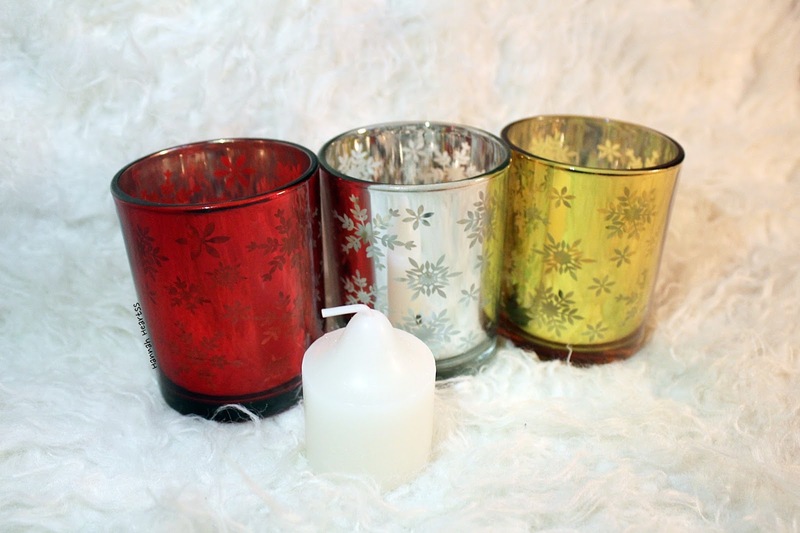 I am such a big fan of festive candles and these from Partylite are some of my favourites for this holiday season. With the colder weather finally making an appearance there is nothing I love more than lighting a few candles in the evenings and making the house have that cosy feel. How gorgeous are all of the candles?! All of these candles and the main piece are from the Partylite Christmas Collection. The Enchanted Woodland Votive Hurricane (£27.95) is the star of the show! walThis is such a gorgeous piece that you can keep out after the Christmas period and would look stunning anywhere in the house, especially as a table decoration. 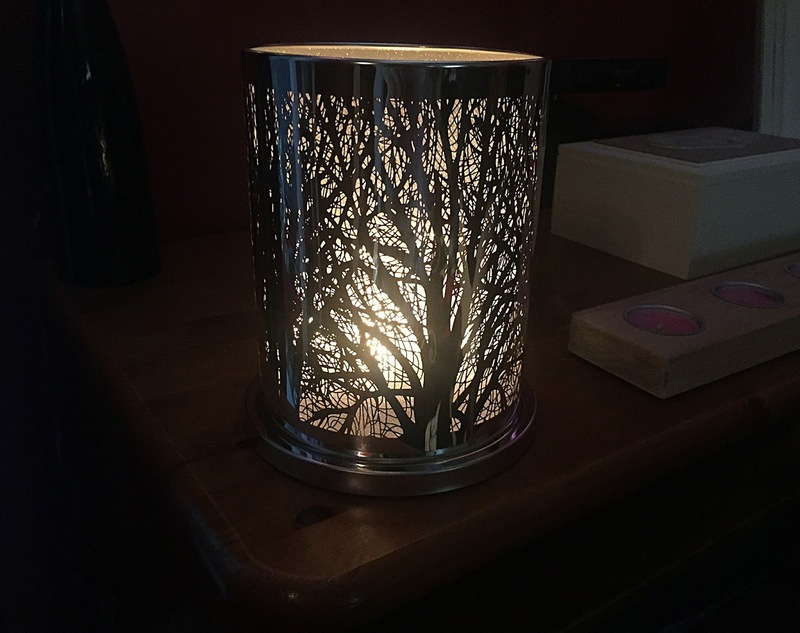 This comes in three pieces, a silver base, a glass votive holder and the woodland cylinder. This looks so pretty when it gets dark, as you can see from the image above it really does glow! Then we have the Reminiscent Scented Mini Jar Trio (£24.95). This could easily be split up to be three little gifts or even stocking fillers or you could gift them all together as they come in a gorgeous box. 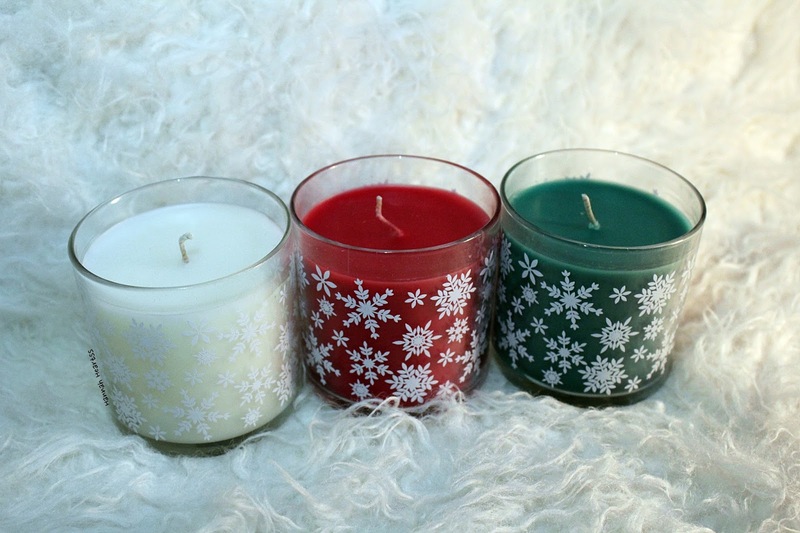 The three scents are Iced Snowberries, Crimson Berry and Emerald Balsam. Iced Snowberries is my favourite scent out of the three which is described as being scented as a blend of sweet berries, musk and vanilla. Emerald Balsam smells just like Christmas trees so if you have a fake tree like I do this candle is perfect to give your home that Christmas tree smell. I am definitely going to reuse the jars after I have used up the candles - perfect eyeliner and lipgloss holders! 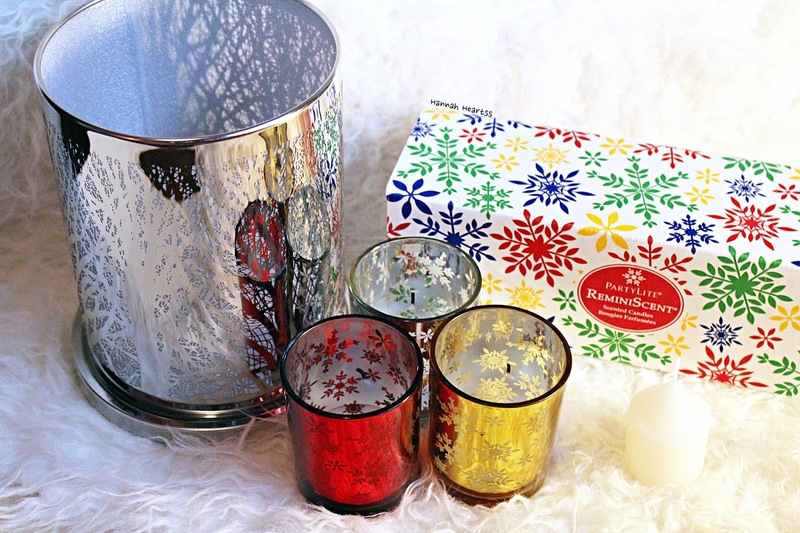 Next is the Snowflakes Glass Tea Light Holder Trio (£19.95) and the Iced Snowberries Votives (set of six). I have been popping in one of the votives into one of the snowflake tea light holders and just one of the little votives fills my room with a good scent kick off. Each votive will give you 8-11 hours of fragrance which is amazing for how small these are. I absolutely love these tea light holders, I have already popped them around the house and they give a pretty pattern to the walls when its dark and a tealight or votive is popped in. One lucky winner will win everything I have just talked about so the Enchanted Woodland Votive Hurricane, Reminiscent Scented Mini Jar trio, Snowflakes Glass Tea Light Holder Trio and the Iced Snowberries Votives! This giveaway is open to UK entrants only and will end on the 26th of November 2015. I am not responsible or any loss or damage. Good luck!